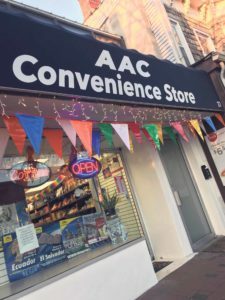 AAC Convience Store opened at North Station Plaza. 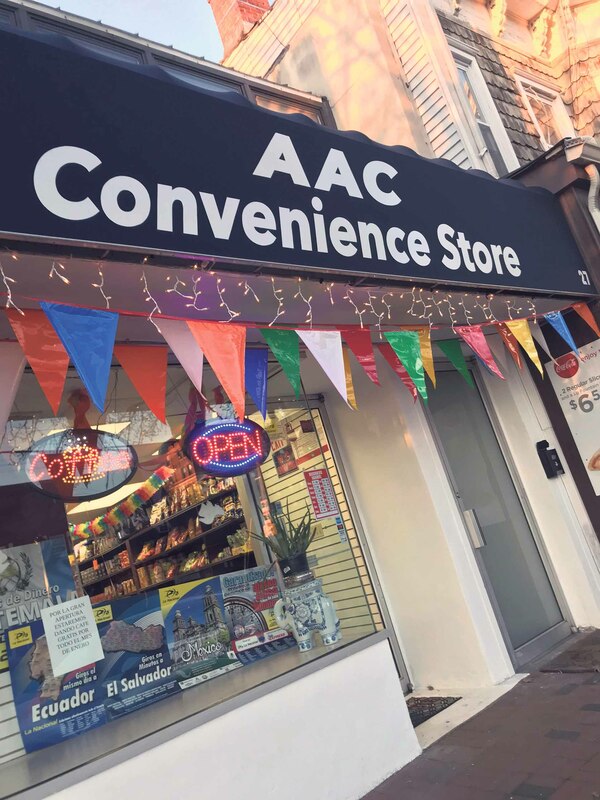 AAC Convenience Store opened its doors at 27 North Station Plaza, across the street from the Great Neck Long Island Rail Road station, on Jan. 14 and is ready to serve the community with snacks and beverages. To celebrate the occasion, neighbors and friends attended a ribbon cutting at the store, where Great Neck Plaza officers and other elected officials welcomed the new business to the community. 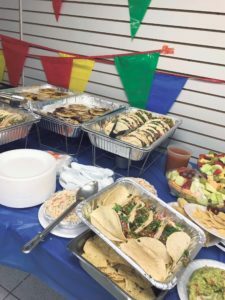 Owners Miriam Calderon and Jorge Arizaga served a variety of Latin foods and were wished good luck in running this business and on future endeavors. Citations are presented and the ribbon is cut at the official ceremony (from left): Village of Great Neck Justice Mark D. Birnbaum, Great Neck Plaza Trustee Gerald Schniderman, store co-owner Miriam Calderon, Great Neck Plaza Trustee Pam Marksheid, store co-owner Jorge Arizaga, Nassau County Legislator Ellen Birnbaum and Assemblyman Anthony D’Urso’s representative Sandy Portnoy. The store, which sells snacks, drinks and treats, offers them at competitive prices to satisfy patron’s needs and makes these products affordable to shoppers of various income levels. Moreover, services are provided to the customer with ease. Co-owners Calderon and Arizaga both have experience in customer service, from serving people in a restaurant to working in a convenience store in Port Washington. 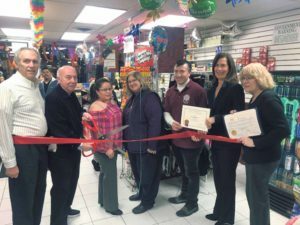 Calderon and her business partner decided to open their business in the plaza because they wanted to give Great Neck an excellent convenience store like the one she works at in Port Washington. Both owners have many friends on the peninsula, so they are familiar with the community’s needs. Many refreshments, including guacamole and tacos, were served at the store opening. A vision both Arizaga and Calderon have is to bring more Hispanic culture to the community.